The most beautiful wall in my house. I want to write a book that has the kind of impact on readers that R.J. Palacio’s Wonder just had on me. A writer who has buckets of voice like Katherine Hannigan, with heart to spare like Lynda Mulally Hunt. I want to be a writer who does school visits that have kids on the edge of their seats like J&P Voelkel. I want to be the kind of writer who nurtures and encourages other writers like Rick Walton. Who works as hard and writes as beautifully as Ally Condie. Who teaches workshops that inspire and instruct like Jennifer Nielsen and Mette Ivie Harrison. Who sees aspiring writers not as competition, but as colleagues and friends, like Matthew MacNish and Ruth Lauren Steven and Michelle Krys. What am I missing? Who are your role-model writers? And what kind of writer do you want to be? It's offical. I want your bookshelf. Thanks, Aldrea! When we finished our basement a couple of years ago, I had two big things on my wish list: an office and a big bookshelf. I love them both so, so much. 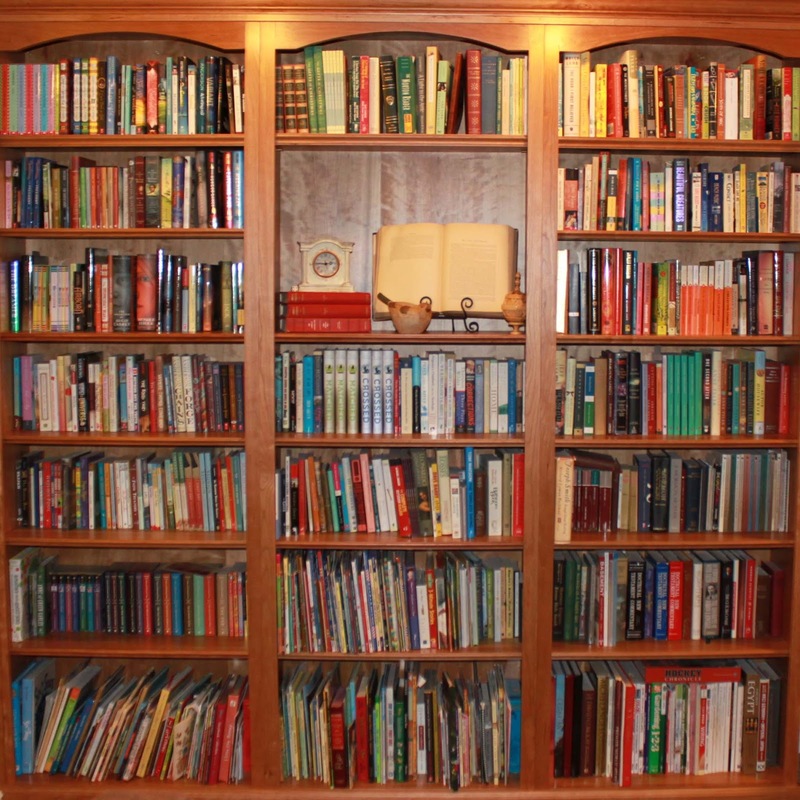 I love pictures of bookcases; I try to make out the books' titles on the shelves. I also tend toward Margaret Atwood in my spared time. We like to vacation at Lake Powell (before it is reduced to the original Colorado river.) Near Your town? We're just a couple of hours from Lake Powell, and I wish I made it down there more. It's so gorgeous! These are some amazing authors. Thanks for sharing. I want to be the kind of author who makes people remember how to feel – love, hope, sorrow, joy. I want to be supportive and encouraging, helping aspiring authors but even more, making them want to help someone else.